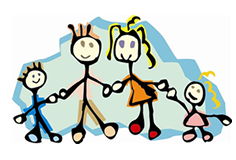 In Chiropractic Care For The Whole Family! Call us at (970) 686-6833 today. For more information or to schedule an appointment with our Windsor chiropractor, call (970) 686-6833 today! Dr. Jill Althoff is a chiropractor serving Windsor and the surrounding area. Our chiropractor and the rest of the welcoming team at Althoff Wellness Clinic are committed to providing solutions to address your unique needs, whether you are experiencing back pain, neck pain, neuropathy, headaches, or even muscular tightness and tension. You may be searching for pain relief after an accident, experiencing an injury, or if you suffer from a specific condition like chronic back pain or a spinal condition. Even if you looking to improve your overall health, our chiropractor can help you attain your everyday wellness goals! Visit our testimonials page to find out what our patients are saying about our Windsor chiropractor and our chiropractic care plans. At your first visit to Althoff Wellness Clinic, Dr. Althoff will explain how our care works and give you a full evaluation to see if our solutions are a good fit to address your needs. If there is a good fit, we can customize a plan of chiropractic care for your condition and health goals. If you have not been to a chiropractor before and want to find out more, please email us or call (970) 686-6833 to receive the answers to your questions from our experienced team. We also welcome referrals, so we invite you to share our chiropractic and wellness information with your friends and loved ones. "Althoff Wellness Clinic is the best! The staff is friendly, and Dr. Althoff is amazing!" "Dr. Althoff and her staff are so professional and friendly. 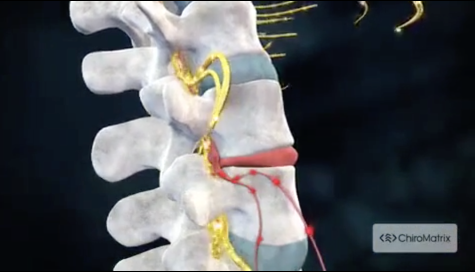 They prepared the proper treatments for me and my neck is now pain free." ""Dr. Althoff and the rest of the wonderful people that work there have been a true blessing to both me and my boyfriend. The compassion atmosphere is so welcoming and eased any fear I had. It is by far the most professional and knowledgeable Dr I have been to. They aim to educate their patients and make you feel like you belong there. We have recommended them to our family and friends and are always happy to pass along our experience we have had with them."" ""Dr. Althoff is amazing! She is so friendly and really wants to help people. She is also amazing with kiddos! My son who is 6 is also a patient and she explains things on his level and makes everything fun! The rest of the staff is also great! Everyone is so kind and welcoming and professional. I am so glad I found a place to bring the whole family and know that we are getting the best care around!"" ""Awesome place! With an awesome staff that knows what they are doing! Dr. Althoff has helped my 10 year old SO much with his Migraines.. If you are not a believer, neither was I....until he's been able to go up to 2 weeks so far without a headache! I'm a happy mom and he's a happier kid now too!"" ""After 2 months of pain from a car accident and doctors in hospitals telling me I was fine and to go home, prescribing pain pills and kickin me out! I found a Dr. Althoff in Windsor that has gone above and beyond my expectations. Though still healing my pain has decreased tremendously! On top of great care, its staff is wonderful and very informative! Would recommend this facility to everyone ages 0 - infinity! Thank you Dr. Althoff!"" ""I love Dr Althoff and her staff! Very family friendly and comfortable atmosphere. She even adjusted my newborn baby at only 5 days old."" Dr. Jill Althoff relocated to Colorado in 2002. Born and raised in a small town in North Dakota, Dr. Althoff was attracted to Windsor’s small town feel and the friendly people. She was also drawn to the area for the warm weather, the outdoor sports, and the mountains. She resides north of Windsor with her husband, Josh Jackson and their two boys, Colten and Caiden.